The Maihar Gharana is Dhrupad based (Dhrupad is a distinct Indian Classical Vocal style), uses different techniques such as Ladi (chain), for sustaining the notes in the 'Jod' section, and 'Tar- Paran', where the strokes of the Pakhawaj are imitated. Some of the other techniques used are 'Meend', 'Gamak', 'Zamzama', 'Sparsh' and 'Krintan ' and the Taan used are the 'Phirat', Diri-Diri' and Gamak 'Style Taans. An artist who completely transformed the innocuous-looking bamboo-flute in terms of t musical-possibilities, Pt. Hariprasad Chaurasia is a living legend. Hariji - as he is lovingly referred to by his countless admirers - was born on July 1 1938, at Allahabad, in the state of Uttar Pradesh. Wrestling happened to be the traditional family occupation, but Hariji showed no inclination towards it. His prime obsession since his early childhood was music. Initially trained under Pandit Bholanath and Pandit Rajaram, the turning point was his training under the highly revered Annapoornadevi, daughter of the legendary Ustad Allaudin Khan. It was under her very structured regime of 'talim' and 'riyaz' that he imbibed the complex 'dhrupad' mode of the 'Beenkar gharana' in the 'tantakari ang' (mode of playing stringed instruments). Thus, even as the flute had no strings and therefore could not be tuned, Hariji mastered the art of tuning his instrument in a manner similar to that of stringed instruments, by mentally gauging the pitch and sound. The flute was thus rendered 'equal' in comparison with stringed instruments. Winner of the Padma Vibhushan and the Sangeet Natak Akademi Award, Pt. Hariprasad Chaurasia has a worldwide following, generated through hundreds of concerts all over the globe. Popularly referred to as the owner of the world's most famous musical 'blow', Hariji's tone revolutionized Indian Classical music on the bamboo flute. Well known for his work as a composer in the Indian Film Music, Hariji has also composed ragas like 'Haripriya' and 'Mangaldhwani'. He also happens to be the first Hindustani 'classical' flautist to experiment with fusion music internationally. Rakesh Charuasia is the nephew and Disciple of Pt. 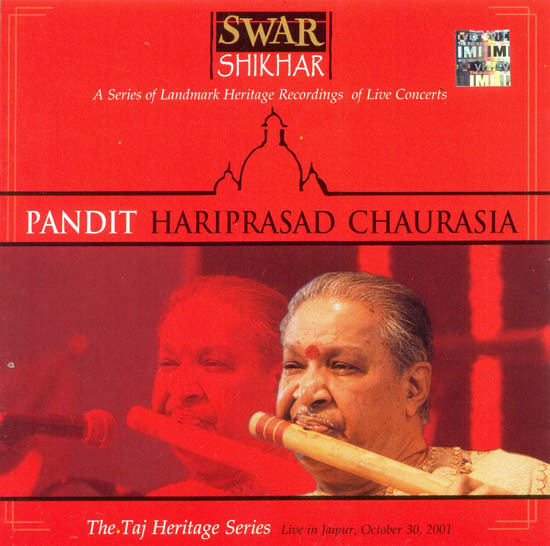 Hariprasad Chaurasia. A very versatile artist, Rakesh is one of the most sought after musicians in the Mumbai film music industry. He has performed extensively with Hariji all over the world and is fast emerging as a brilliant soloist in his own right. Ustad Shafaat Ahmed Khan is one of India's leading Tabla players. He belongs to the Delhi Gharana and is a disciple of the Late Ustad Chamma Khan. He is known for his highly successful musical partnerships with maestros like Pt. Shivkumar Sharma and Ustac Amjad Ali Khan. Bhavani Shankar its is responsible for almost single handedly giving the Pakhawaj its present status as a leading percussion instrument. He belongs to the Jaipur Gharana and is a disciple of the father Babulaji Kathak. An extremely versatile musician, Bhavani has been the top percussionist in the Mumbai film industry for several years. He present the authentic ‘baaj’ of the pakhawajin his accompaniment of classical vocal and instrumental music.